ok so I’ve been doing up my new build garden the past 2 years. And this year I’m focusing on the “kids side” it’s the view through the patio doors and currently I don’t like the view. I’ve been trying to come up with an idea to make it More interesting / hide plastic toys haha. My theme is tropical / jungle. 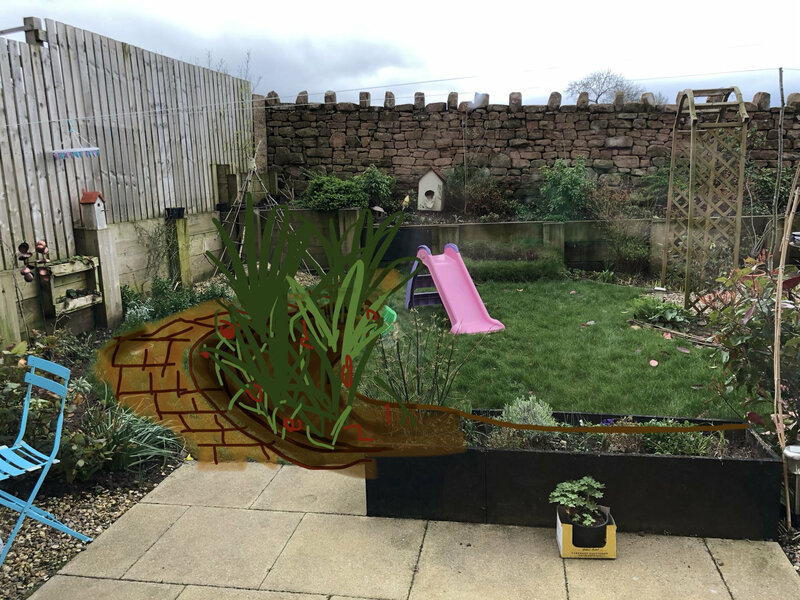 I’m still lacking a lot of the planting but It will get there in time, the ‘adult’ side has had all my attention so far. What do you think? 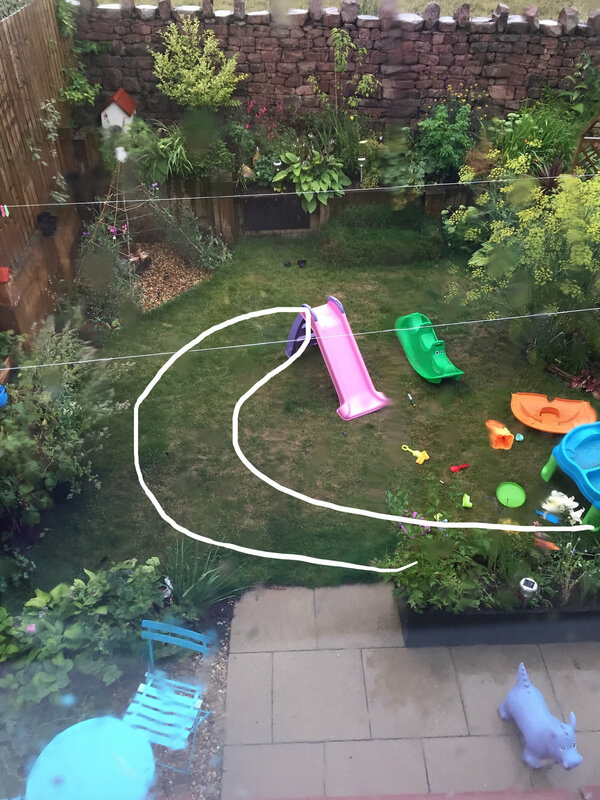 I’ll have a thin path running round the edge and plant nice and tall things so the kids have a secret ‘cove’ of grass for toys and what not. Works for me. 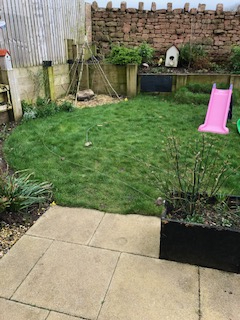 Miscanthus would work well as your 'tall things' to divide the lawn from the path - it stands up well to abuse from children! From a kids perspective, it would be awesome. From a gardening perspective, it would give you a place to grow more things. Maybe you could add some tunnel or a secret shortcut to the area (thinking they will make one between the planting anyway)? Yep, l like it ! Just wondered about the washing line going across the top - are you going to replace it with a whirligig type ? Miscanthus is a good idea, I have a very young one on the other side of the garden too so it’ll fit in well. Yeah I had the same idea having a little tunnel through somewhere! I’d have loved that when I was younger. I think I’d much prefer to run around a jungly garden as a child than have just grass so I’m trying to make it as interesting as possible. And more room for plants like you say haha.